Spent 7 nights mid September 2015. No problems with a 40 ft MH towing a car. Full hookup and wifi. Limited 50 amp sites so if you need it, book ahead. Couldn't get satellite TV due to trees - if you need it tell hosts and they will give you a spot facing the right way. We had free cable but the campground is losing the ability to provide cable due to govt regulations. Very friendly and helpful staff. Great central location for exploring Nova Scotia (90 minutes to Peggy's Cove, 1 Hr to Halifax). Very nice and quiet during our stay, liked the fact that the gates close at 10PM (to 6 AM) - no late night arrivals like some other places. Very happy with our stay and will be back next year. 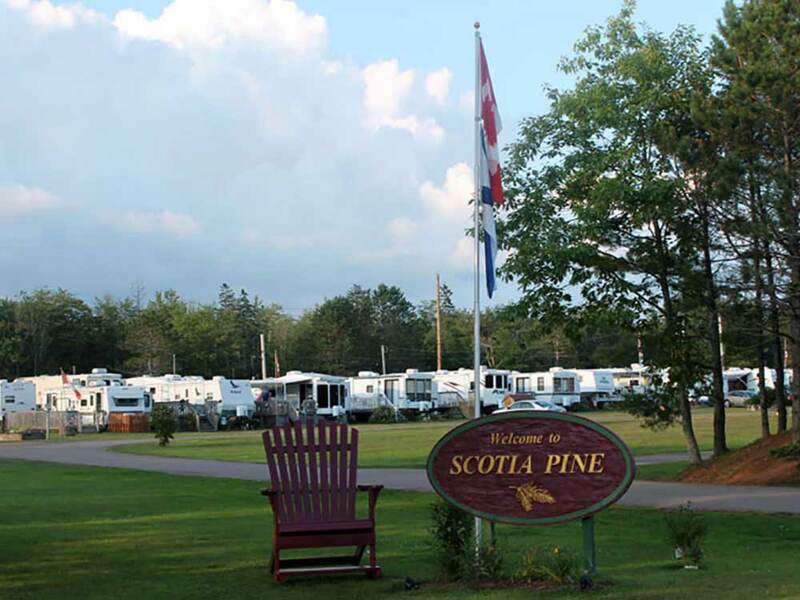 I have camped here on several weekends and find this campground has it all: very accommodating staff and ownership, many styles of camping from open to more secluded, as well as sunny,shady and mixed (with expansions and improvements on-going). Great facilities for kids and adults and have have enjoyed a number of weekends of descent live entertainment. This is mainly a parking lot style campground. Some sights are shaded, there is grass with some bare spots. The bathrooms are older but clean, there is a charge for showers. The tent and newer section of the campground is a long way from the bathrooms. The laundry is clean with six washers (I think) and four dryers. There is a pool and some play equipment. The Wifi was not working - even in the places we were told it should be available.